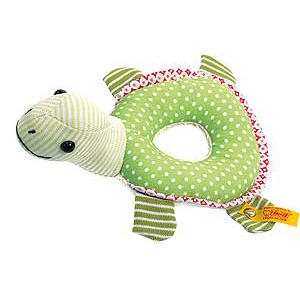 Steiff baby safe Little Circus Turtle Grip Toy. 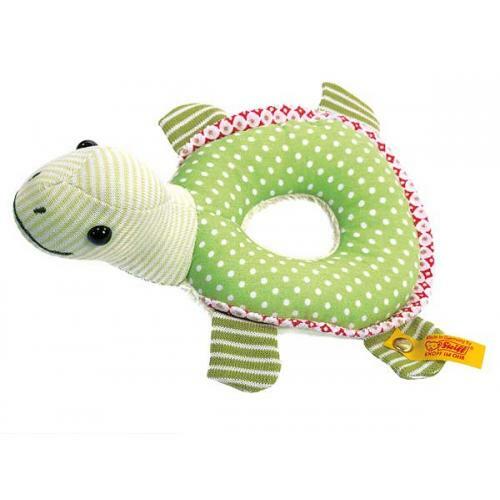 Made of the finest Green cotton for baby soft skin. Machine washable.